The innovative Highlife® Prodigy® comfortably seats 5 people, with a variety of innovative jet configurations in each seating location. In addition to soothing massage, this luxurious spa’s sensible style and design help it fit perfectly in any yard space. 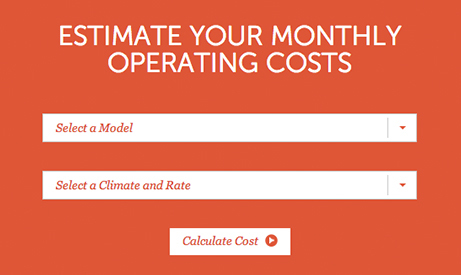 We design spas based on how you will actually use them. The ComfortControl® system lets you customize the strength of massage. The SmartJet® system allows you to direct power to the jets you are using, instead of powering all the jets at once. 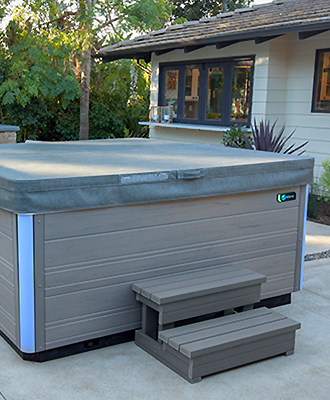 Highlife® Collection spas offer our very best in efficiency and energy saving design – which is why we call these models Super Energy Efficient. This is just one of the ways a Highlife Collection spa delivers the best value over time. Highlife Collection models feature our complete Energy Smart® system. Every aspect of the spa has been optimized to create heat efficiently and maximize heat retention. Crystal clear spa water is essential to your soaking experience, which is why we have invested in innovations in filtration and water care that keep your Highlife Collection spa water clean with as little work as possible. 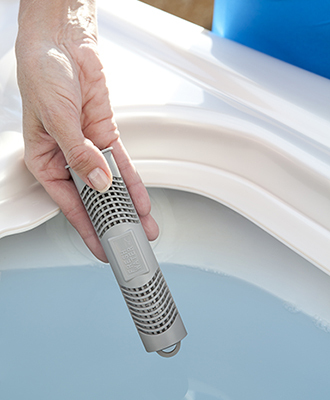 This easy-to-use system eliminates the worry of keeping water clean, clear and sanitized for a full year. 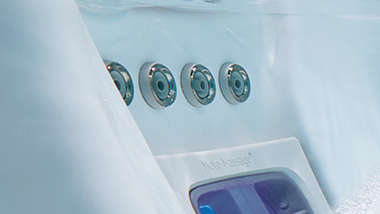 With just a little salt in your spa water, the system generates chlorine automatically and keeps water feeling soft without harsh chemical odor. 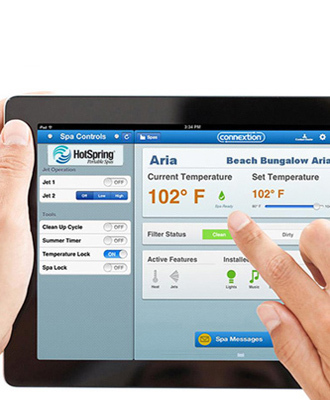 This unique system makes spa ownership easier than ever by removing the guesswork and hassle of water care maintenance. Learn More. 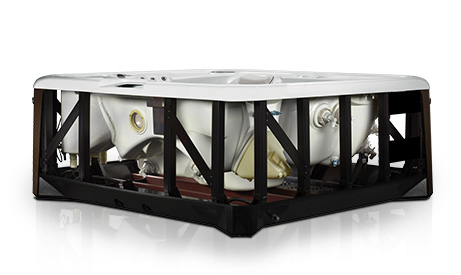 Only Highlife Collection hot tubs offer 100% No Bypass Filtration, and up to 325 square feet of effective filtration area with exclusive, dishwasher-safe Tri-X® filters. The number of filters is matched to the power of the jet pumps to provide balanced filtration, allowing 100% of your spa water to pass through the filters 100% of the time – even when the jets are on, which is when other spas bypass the filters. No matter which model you select, you can count on superior quality, comprehensive warranties and outstanding customer care from our experienced dealers. Our dedication to high-quality construction and unparalleled customer care means you can enjoy your Hot Spring® spa for years to come. You can count on support from our network of experienced and professional retailers and our straightforward warranties to ensure your spa is always running at its best. We don’t expect you to take our word for it though. We are proud to share the real experiences of our customer’s right here on our website. 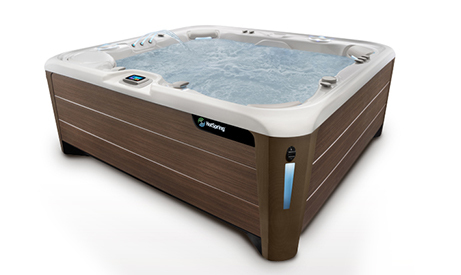 Read reviews from Hot Spring owners and learn about the Absolute Best Hot Tub Ownership Experience. 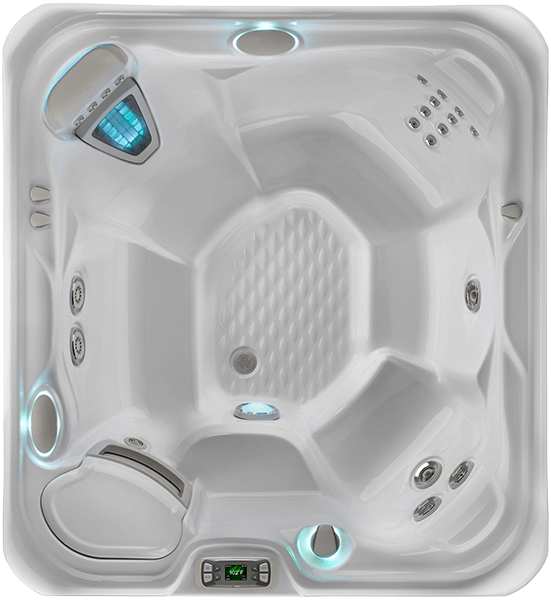 The Highlife Collection is our top-tier luxury spa line offering unmatched visual appeal and innovative technology. The Prodigy Jet System offers an incredible 22 jets that relieve tension in targeted areas including your back, neck, shoulders and calves. This powerful cluster of Directional Precision® jets work together to relieve tension in your back, neck and calves. The unique SoothingStream jets have seven openings to create a powerful stream that gently relieves tension in your shoulders and upper back. 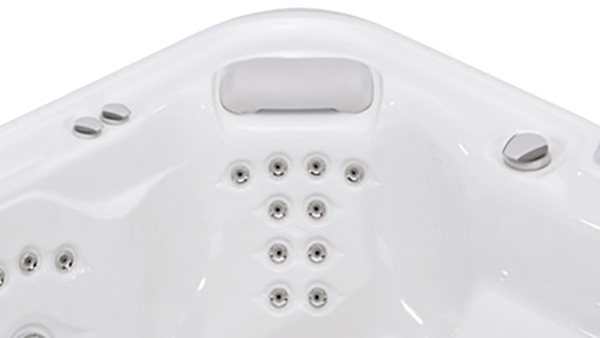 Hot Spring Spas revolutionized spa industry with this one-of-a-kind moving jet that cascades up and down your back. These four precision jets work in harmony to melt away tension in your neck and shoulders. Soothe sore and stiff lower backs with the powerful, targeted JetStream jet that’s two times as powerful as a standard hydromassage jet. These rotating jets create a powerful steam of moving water, providing a soothing massage that relieves tension. Customize your massage — these unique jets rotate to give you soothing comfort exactly where you need it. My first 2 Hot Spring Spas were purchased in California. Have seen a lot of junk spas over the years and Hot Springs lives up to its reputation of quality. The Controls are straight forward, love the salt water system. Stays hot, stays clean, very little maintenance. We love our spa year round! Always the best way to relax. The seats are comfortable and the jets hit all the right places. I have had my Prodigy for 15 years and other than 2 little issues, it still works great. That is a testament to the quality of the product. Mon – Sat: 10 a.m. – 6 p.m.
Sun: 11 a.m. – 6 p.m.
Mon-Fri: 8 a.m. to 5:00 p.m. Sat: 9 a.m. to 4 p.m.